“A rose by any other name would smell as sweet.” Who doesn't love this line from Shakespeare's famous play “Romeo and Juliet?” Shakespeare knew how to speak the language of love. And what better symbol of love than the red rose? 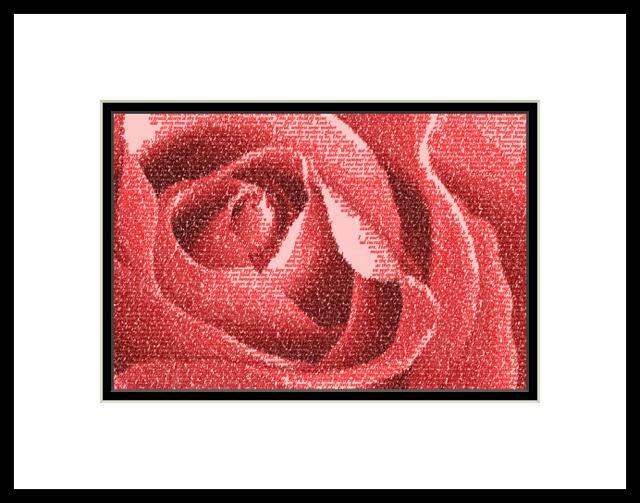 This masterpiece uses the text of Shakespeare's sonnets to build an image of a rose, which conveys a stunning expression of love and promise.